Check out My Fitness Blog! I’m actually quite proud of Disaster Fitness. It started out as a vehicle to support my first fitness book, Disaster Fitness: The Traumatized Child’s Hot Body Guide. 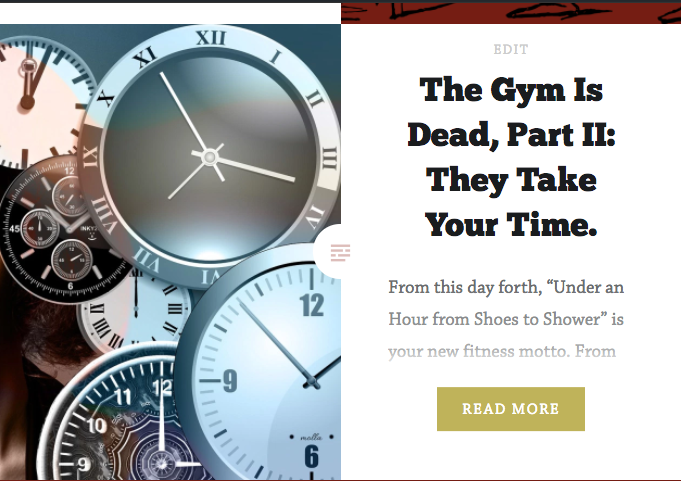 But I find I’m enjoying the fitness blog format and the short pieces, so I’m going to keep at it once the book is out. When I began writing the book, it was just an exploration of my own psyche, really, in the guise of figuring out how to help others with things I’m good at. But it’s turned into a novel approach to fitness: through exploring your mental health issues, you can turn your emotional scars into priceless tools to help you find genuine joy in physical activity. I found out I have a knack for explaining this type of thing, so I look forward to exploring this avenue. Suivant And Now for Something Completely Gothy: My Fiction Blog!